What is a MLS listing number? Also known as a listing ID, a MLS listing number is a number assigned to a real estate listing in MLS. 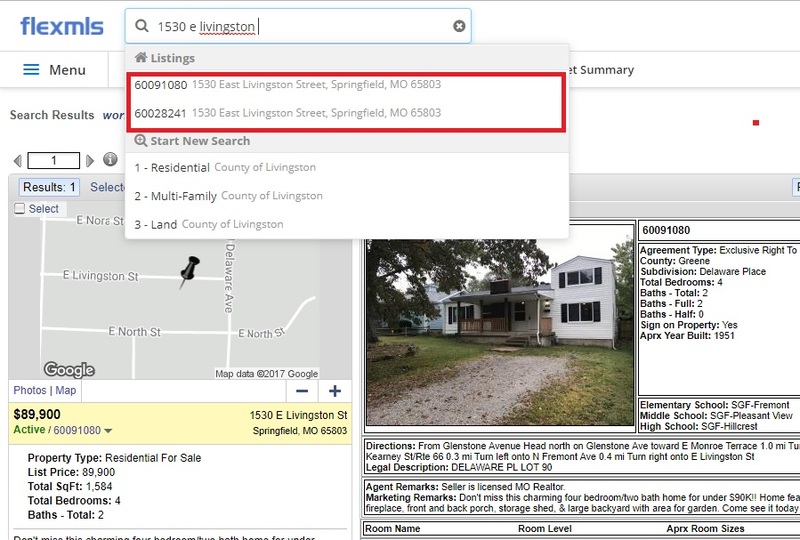 While in MLS, you can easily search for a property by typing in the address. However, what if the property you’re searching for has multiple records in MLS such as the situation shown below? Why would a property have more than one listing in MLS? Well, keep in mind that MLS doesn’t just show active listings. MLS will also show closed listings & expired listings. In the example above, the reason 1530 E. Livingston has two listings in MLS is because the property had previously sold, and the current owner has put the property up for sale. So, there is a closed listing and an active listing in MLS for this property. With multiple listings for the same property, you need a unique listing number for each. MLS listing numbers are also required to assign Supra Lockboxes to a property in MLS. If you are unfamiliar with Supra lockboxes, they use Bluetooth technology allowing real estate agents to access them via an app from their Smartphone. Once the agent accesses the lockbox, the listing agent receives an email notificiation stating who entered the property and at what time.